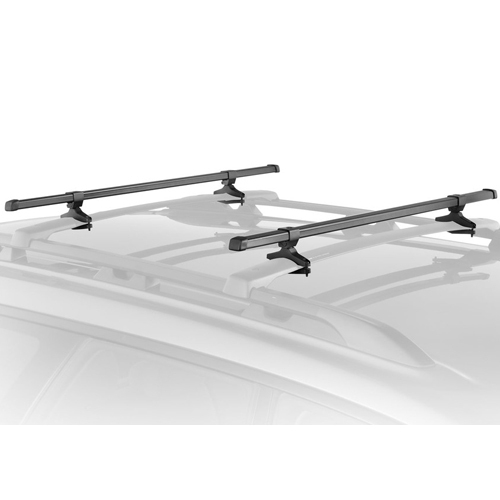 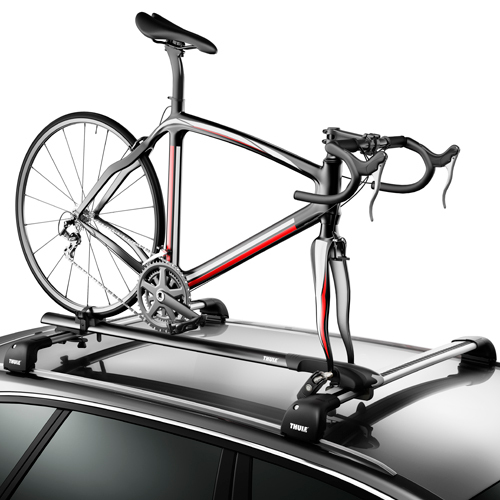 All Thule Roof Rack Mounted Bike Racks and Bicycle Carriers including the 528 Sprint, 569 Sprint for t-slots, 594xt Side Arm, 598 Criterium, 558p Tandem, and more, are in stock and on sale at RackWarehouse.com. 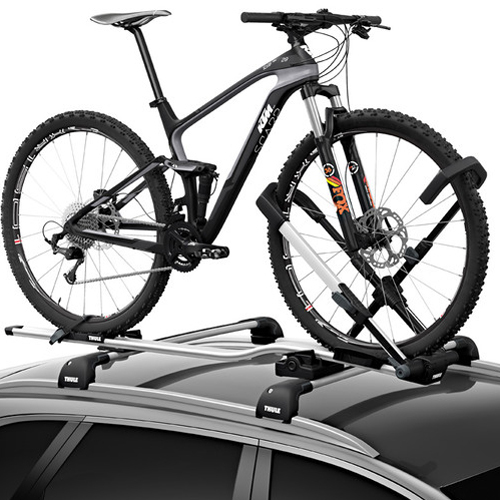 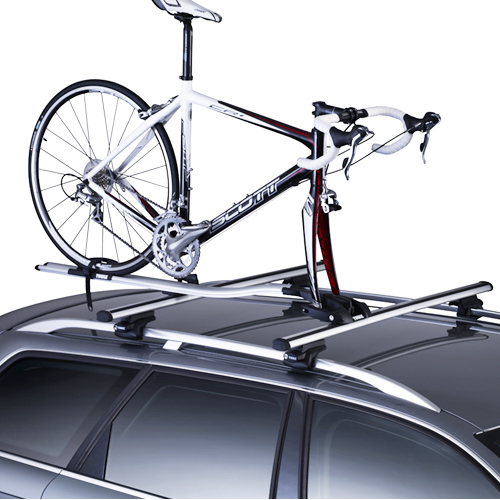 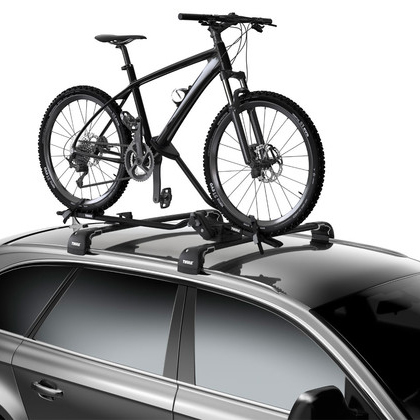 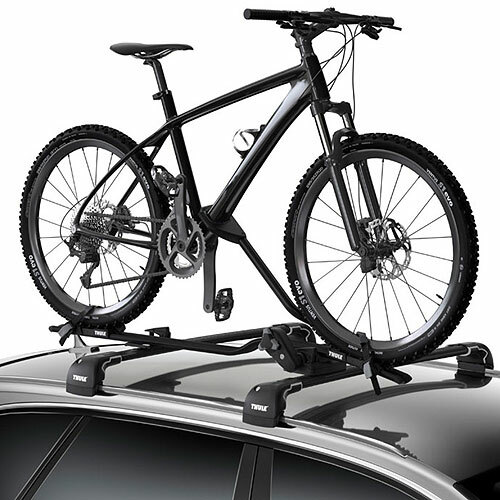 Thule Roof Rack Mounted Bike Racks are available in fork mount and upright versions. 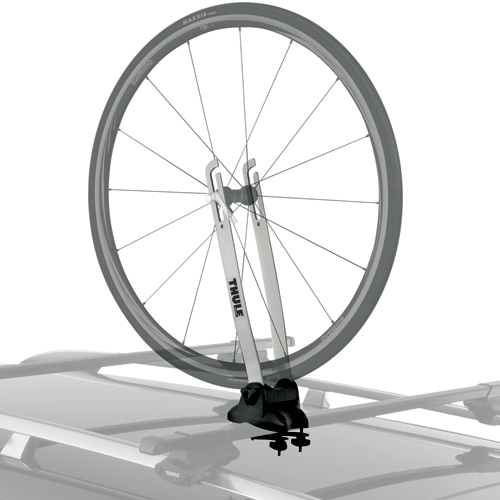 The fork mount holds your bike by the front fork once your front tire is removed. 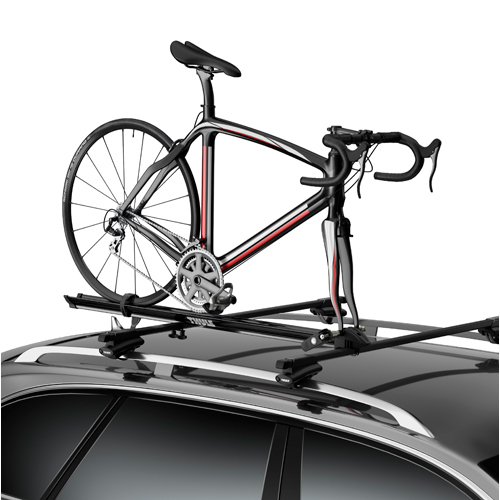 Uprights hold your bike delicately by the down tube. 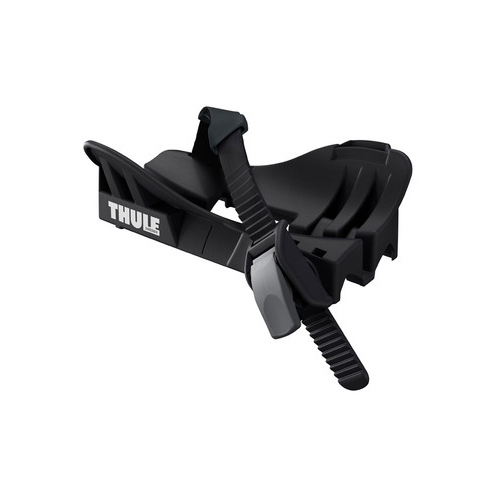 All rear tires are held in place by Thule Wheel Straps. 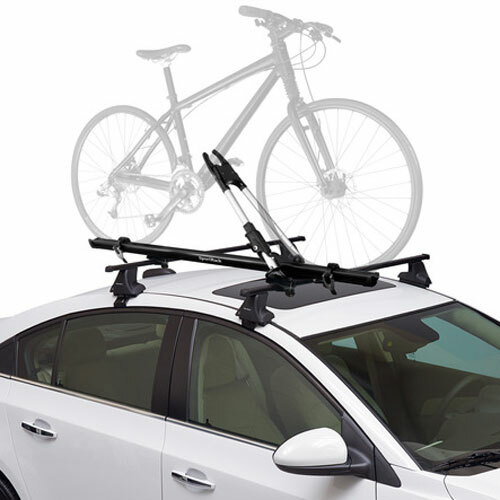 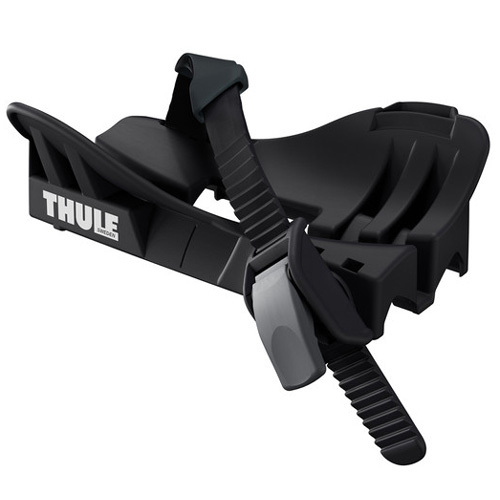 The Rack Warehouse stocks all Thule Roof Rack Mounted Bike Carriers, Thule Trailer Hitch Receiver Mounted Bike Racks, Thule Trunk and Rear Hatch Mount Bicycle Racks and Thule Pickup Truck Bicycle Racks. 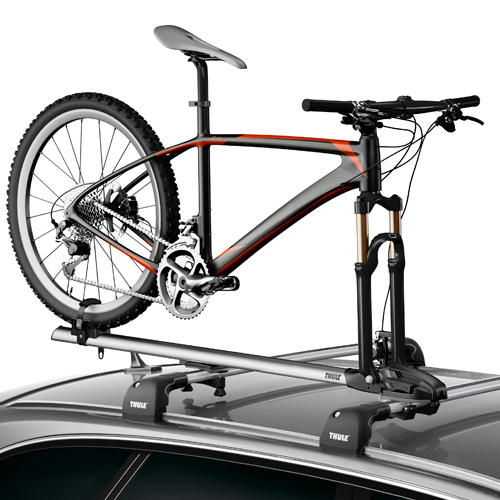 All Thule Bike Racks are covered by a Limited Lifetime Warranty.